Brian Lucier of BHB Group, LLC has been actively investing in residential apartment buildings in Central Massachusetts since 2003. In that time Brian has been involved in all aspects of analyzing, inspecting, acquiring, overseeing contractors and the day-to-day property management of all of BHB Group holdings. Brian Lucier meets with Shark Tank's own "Mr. 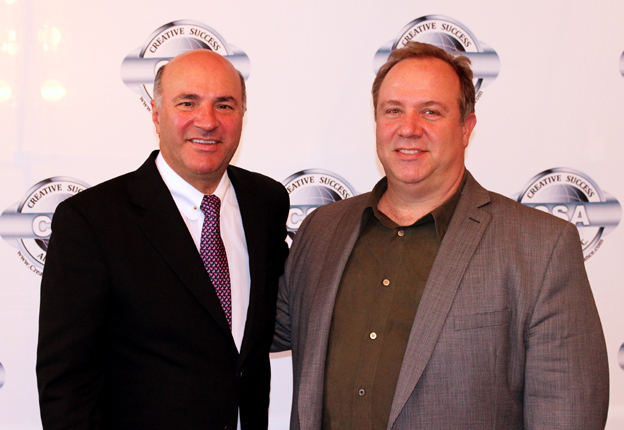 Wonderful" Kevin O'Leary at David Lindahl's Business Expo Expolsion. Since 2005 Brian has also been on the accredited landlords list for several of Central Massachusetts Housing Authorities including: Gardner Housing Authority, Athol Housing Authority, Winchendon Housing Authority, Franklin County Housing Authority, and RCAP Solutions of Gardner, Massachusetts. BHB Group is an active participant in these programs with the goal of providing housing for qualified families in these regions. Brian is also an active participant in the annual fund raising activities for the Montachusett Opportunity Council for Children and Families (MOC). Brian Lucier with Bill Rasmussen, the man who had the dream, and changed the way we watch sports television forever, the founder of ESPN. Brian owns and manages Aegis Housing Solutions, Inc., which is an A+ Rated Accredited Business with the Central Massachusetts Chapter of the Better Business Bureau. Brian’s responsibilities at Aegis Housing Solutions include working with realtors on the research and development of leads for single family and multi-family homes to assist families in transition looking to purchase and sell homes or investment properties. Brian then assists in guiding buyers through the rent-to-own transition towards the goal of home ownership. 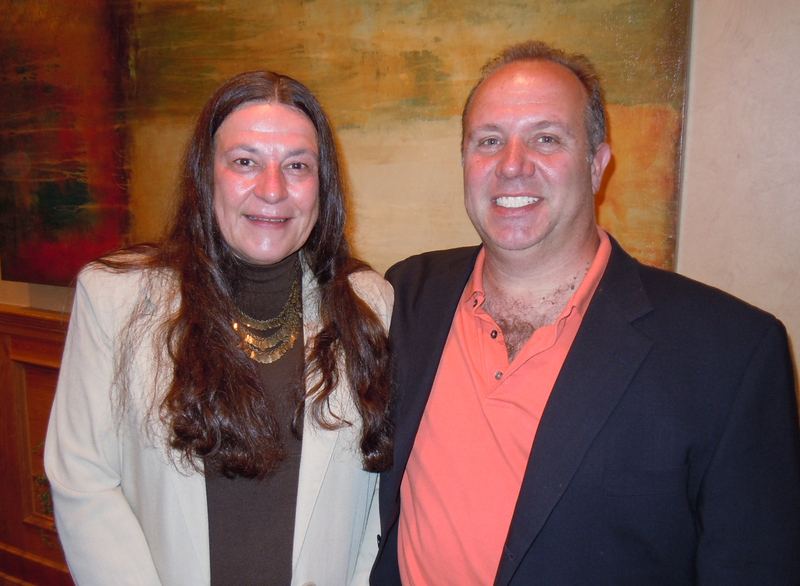 Brian Lucier with Jackie L. White Due Diligence Expert and Management Consultant of JLW Consulting, LLC. 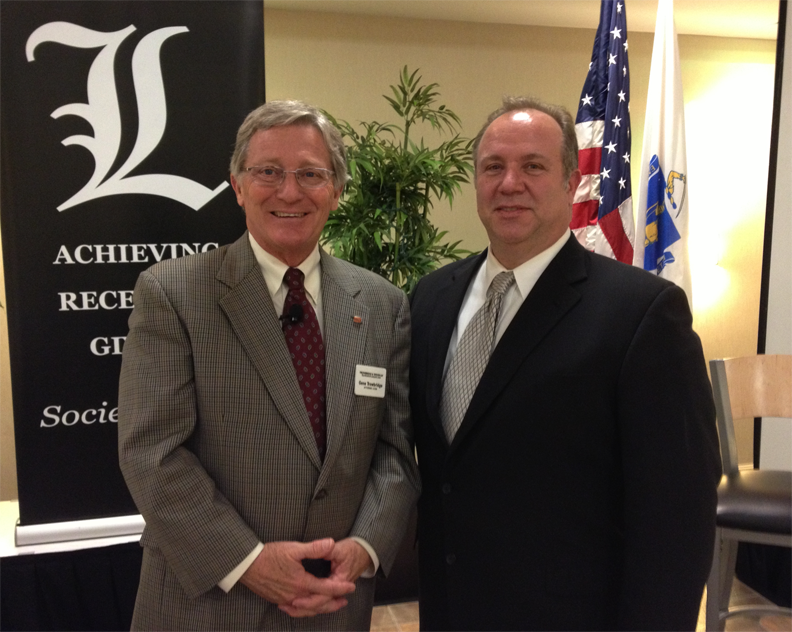 Brian is a volunteer member of the Northern Worcester County Landlord Association. He has been elected by the NWCLA members to the board of directors and nominated by the board members to the office of president of the association. He has demonstrated solid and qualified leadership in this role for the past seven (7) years and is directly responsible for charting the growth and development of the association. Brian manages the content and creation of the NWCLA’s web site presence. He also is a contributing editor and author responsible for publishing the monthly NWCLA eNewsletter. The publication is sent to over 450 NWCLA members as well as Housing Court Judges, Court Clerk officials and many of the guest speakers and affiliated professionals that support our association throughout the year. Brian Lucier with Nickolas W. Moudios, Clerk Magistrate of the Commonwealth of Massachusetts Trial Court Division of Worcester Housing Court at the Northern Worcester County Landlord Association. Brian is also responsible for authoring articles, contributing content, and maintaining Blogs at RealEstateInvestor.com directly pertaining to all levels of real estate investing. Brian has achieved Ambassador status on the web site and is a currently a level 4 investor. On the web site Brian also mentors and coaches other investors to achieve their investment goals as a volunteer member. 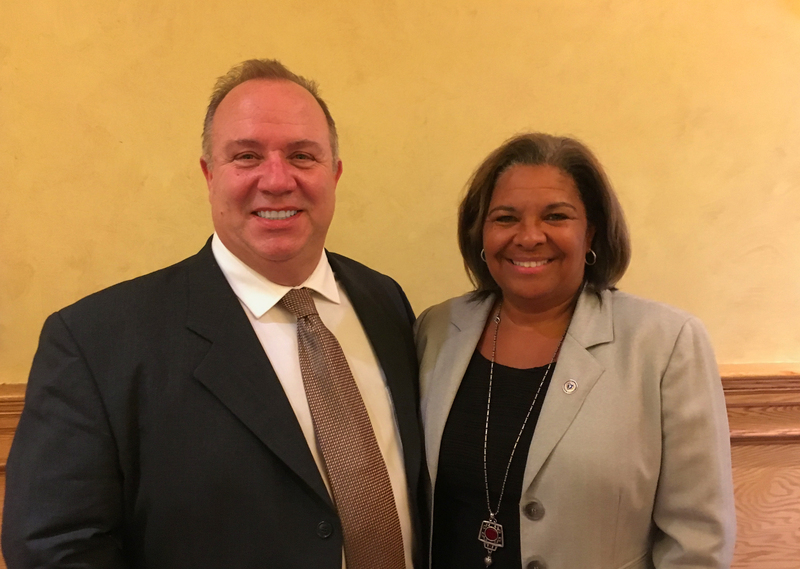 Brian Lucier with Jaime R. Williamson, Chairwoman of the Massachusetts Commission Against Discrimination (MCAD) at the Northern Worcester County Landlord Association. Most recently, Brian is involved in the day-to-day operations for the acquisition of large apartment complexes of 100+ units in emerging markets across the United States. As the managing director of BHB Group, Brian is responsible for overseeing the target market analysis, property due diligence, securing funds and closing these acquisitions. Brian Lucier meets with National Tenant Network Boston Chapter Director, Mary Ann Cantu at the Northern Worcester County Landlord Association. 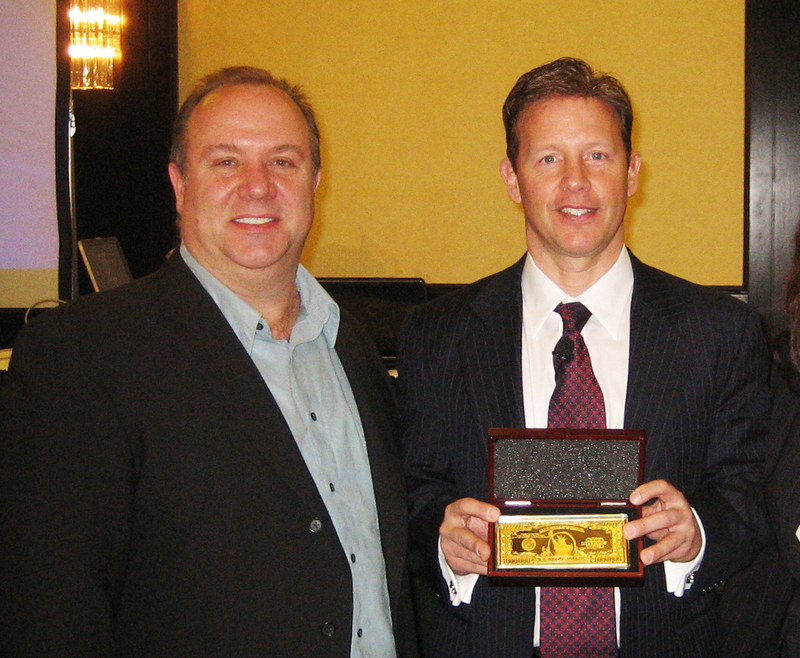 Brian Lucier with long time Mentor, Coach and Strategic Investment Advisor David Lindahl of the Creative Success Alliance recieving his second One Million Dollar Gold Bar Award. David Lindahl has earned his fortune in apartment investing. He has combined all of his expertise and experience into his course, Apartment House Riches, to teach rising investors how to buy an apartment building and begin their journey to apartment investing success and financial freedom. Dave Lindahl’s turn-key system teaches rising investors how to buy an apartment building and start on the road to investing success and financial freedom through innovative apartment and multi- family property management strategies. Starting out as a struggling landscaper with no experience in construction, Dave began his real estate investment career in property rehabbing, collecting enough capital to buy his first real estate investment apartment building. To get the money for down payments, Dave would rehab single family houses and resell in order to buy more apartment buildings. Dave has realized amazing success in apartment investing, rehabbing more than 470 houses in less than 8 years and owning more than 625 apartment units. David Lindahl has become a highly sought after instructor, teaching investors how to buy an apartment building and start themselves on the way to investment success. Within the first 14 months of Dave’s apartment investing career, his apartment buildings created a positive cash flow of more than $10,000 a month for him and his family. Now David travels the country teaching investors the keys to his real estate investment apartment success. Today, David Lindahl has earned more than a million dollars renovating houses for resale, has over $240M of investment property, and owns over 7,000+ apartment units with a monthly cash flow equaling what most people make in a year! 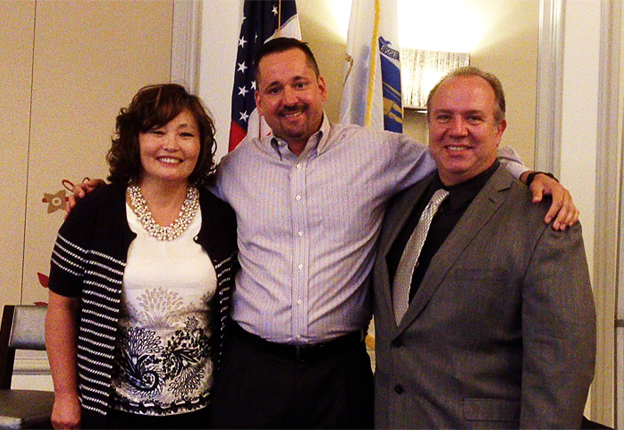 Brian Lucier and his wife Hyun-Ju with long time Real Estate Coach and Strategic Investment Advisor Don Goff of the Creative Success Alliance. 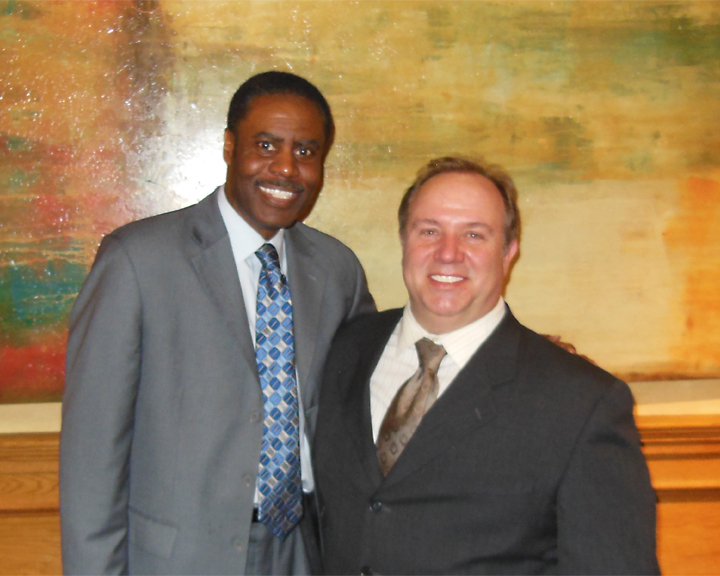 Don Goff is co-author of RE Mentor’s Foreclosure Investing Riches Home Study Course. He has been a real estate investor for over 10 years and has quick turned over 170 properties. He also is an Apartment House Riches graduate and owns 484 units in 3 emerging markets and is one of the coaches for RE Mentor, coaching students on Apartments and Chunkers. Educating Individuals how to make higher returns on their investments via Real Estate. Full Time Real Estate Investor focused on buying apartment buildings in Emerging Markets and quick turning single family homes. Coaching other individuals on how to buy 20-500 unit apartment buildings in emerging markets. Currently have 40 students throughout the US. Also mentor investors on buying and Selling Single Family Homes. 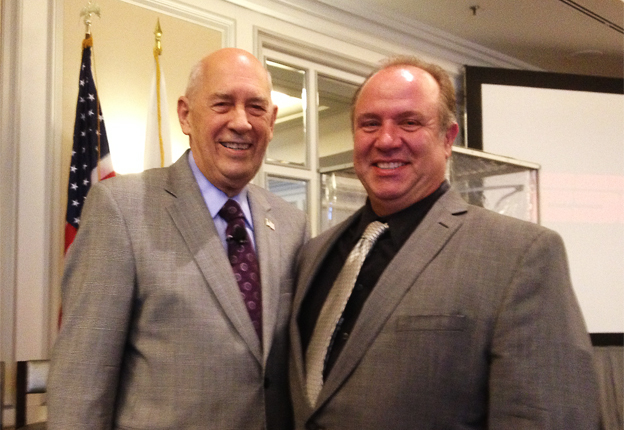 Brian Lucier with long time Mentor, Advisor and Syndication Attorney Gene Trowbridge at the Creative Success Alliance Private Money training event in Woburn, Masssachusetts. Gene Trowbridge is a California licensed attorney whose law practice focuses on Syndication of commercial and investment real estate. 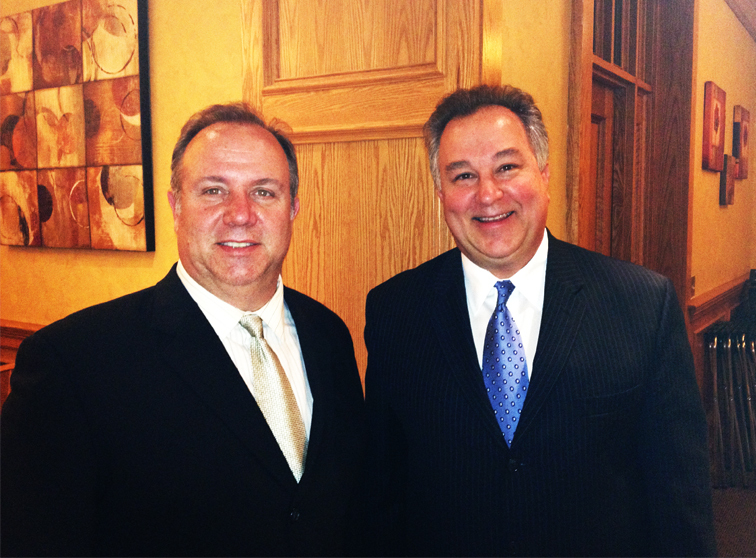 Gene manages the west coast office of Trowbridge & Taylor LLP in Orange County, California. Gene has been in the Syndication business since 1972. He provides education, legal, and real estate consulting services to individuals and companies specializing in the brokerage and syndication of commercial and investment real estate. Gene has authored a book about real estate syndication entitled It’s a Whole New Business which has sold over 4,000 copies. In addition, he has presented several live seminars on group ownership, 1031 exchanges and taxation that have been delivered nationally. His articles have been published in various real estate publications. He is a frequent speaker on the subject of group real estate ownership at local, state and national real estate conventions. He provides real estate syndication workshops to live audiences at various locations around the country several times a year. 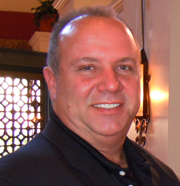 Gene has hands-on experience in the real estate syndication business. He was the sponsor of 16 investment groups that developed, operated and sold commercial real estate and min-storage facilities. 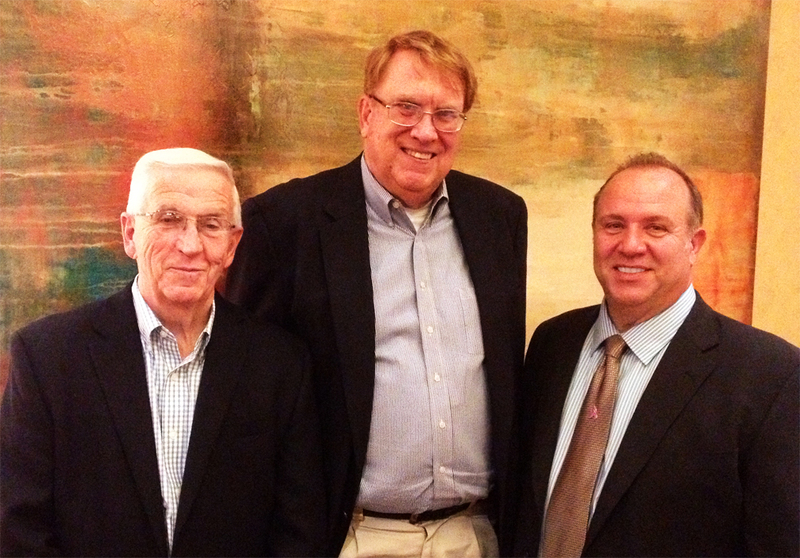 Gene raised money from private investors through the NASD broker dealer community. As a Syndicator, Gene was responsible for the organization of the investment companies; the acquisition, development, management, and disposition of the real estate; and distributions and communications with investors. Awarded the CCIM designation in 1977, Gene has served as a member of the CCIM faculty since 1979. In 2002, he was awarded the Robert L. Ward Instructor of the Year Award from the CCIM Institute. 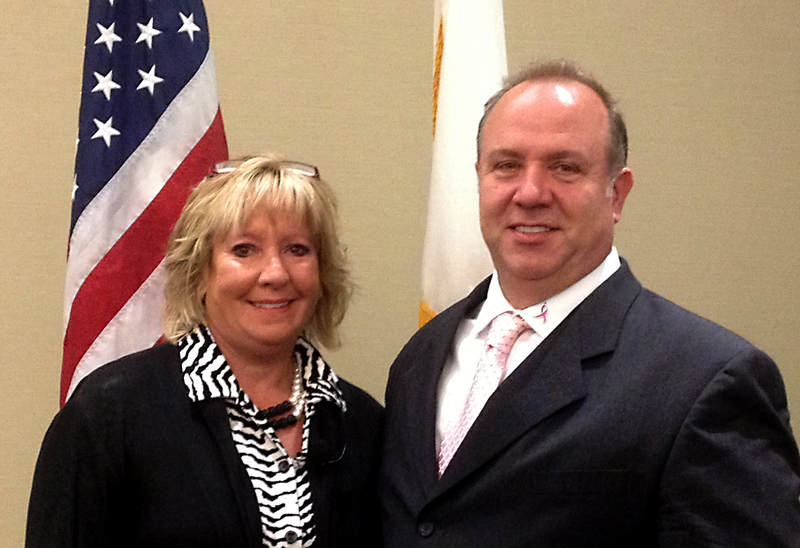 He has served three times as the President of the Southern California CCIM Chapter. In 1991, Mr. Trowbridge was Chairperson of the Group Investment Committee of the National Association of REALTORS. Gene is an active member of the Real Estate Investment Securities Association (REISA). Gene works with real estate professionals throughout the country who are considering entering the group investment or Syndication business, or already in the business, assisting them with the development and implementation of a strategic plan to accomplish their real estate investment and syndication goals. Brian Lucier meets with Mr.Landlord's founder and mentor Jeffrey Taylor at the Northern Worcester County Landlord Association. Author of THE LANDLORD’S KIT, the bestselling book nationwide on the subject of property management, and also his latest book — THE LANDLORD’S SURVIVAL GUIDE. Founder of MRLANDLORD.COM website, that has over 1,000,000 page views every month, and the most visited Q & A Forum on the Internet by rental property owners where answers and tips are provided by fellow rental owners across North America, professional property managers, CPAs, and real estate attorneys. Chief Executive Officer of MR. LANDLORD, INC. – A national property management consulting firm – providing coaching tips to over 100,000 landlords annually and assisting owners with 1 to 1000 rental units. President of Home Rental Publishing – #1 national provider of information and resources for the small rental owner. Annually writes and publishes numerous books, reports, home-study courses and publications for rental owners. Editor of MR LANDLORD, the largest circulated real estate newsletter in the country for 27 years. Rental Property Owner – He and his wife have acquired and manages rental properties ranging from single family to apartment communites for over 30 years and have been married for over 30 years with two sons whom God has blessed us with. Graduate of UCLA, Masters degree work in Communications and Honorary Masters Degree in Real Estate Investing. Trainer for a property management company while holding his real estate license, conducting seminars and classes on property management. He’s been interviewed on numerous radio talk and TV shows across the country and quoted in hundreds of publications, newspapers and magazines including; appearing several times on CNN, quoted on the front page of the Wall Street Journal, Smart Money, Personal Finance Magazine, Real Estate Journal, Business Week Magazine, and the New York Times. Conducted over 1200 seminars and workshops and has assisted thousands of landlords nationwide in increasing their monthly Cash flow and Resident Retention. I n addition to speaking to real estate investor and apartment/landlord associations, Jeffrey has been requested to speak at major conferences and conventions featuring Robert Allen, Brian Tracy, Albert Lowry, Carlton Sheets, John Schaub, Ron LeGrand, Jim Napier, and Jack Miller. Consuming researcher and shares the latest management ideas and solutions from rental owners and managers across the country each year in order to help landlords achieve maximum control of their properties, maximum rental income, maximum resident retention and cooperation and to simply make the most of the assets that God has given you! 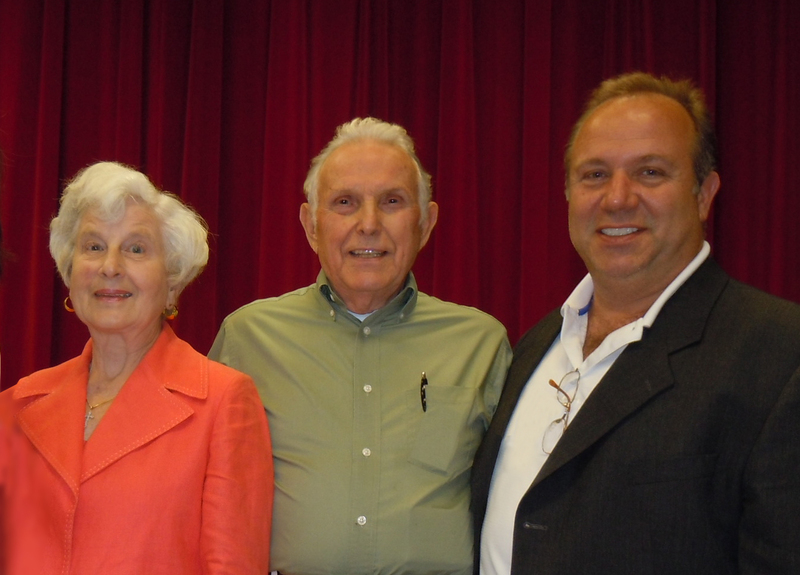 Brian Lucier meets with the creator of the Infinite Bank Concept™, and author of the book Becoming Your Own Banker, R. Nelson Nash and his wife Mary W. Nash. Nelson R. Nash is the discoverer and developer of The Infinite Banking Concept™ and the author of Becoming Your Own Banker. Nash remains a popular teacher and lecturer on the Infinite Banking Concept™. He apparently developed the concept after interest rates spiked in the early 1980s while Nash held a significant amount of real estate investments. He soon noticed that the cash value in his mutual company whole life policies totaled the amount to pay his debts, or the interest on his debts, and began using policy loans then paying them back. Over time, he noticed that his cash values where growing by a greater amount than what he was paying back (because of interest rate arbitrage), something that banks and corporations had begun to take advantage of at about the same time. Nash's ideas became popular in the early to mid-1990s after he wrote his book Becoming Your Own Banker, but his popularity significantly increased during the early 2000s. A native of Georgia, Nash received a B.S. Degree in Forestry from the University of Georgia, 1952. From 1954 to 1963, Nash worked as a Consulting Forester in eastern North Carolina. He has been married to Mary W. Nash for more than 50 years. The couple lives in Birmingham, Alabama and have three children, ten grandchildren and three great-grandchildren.